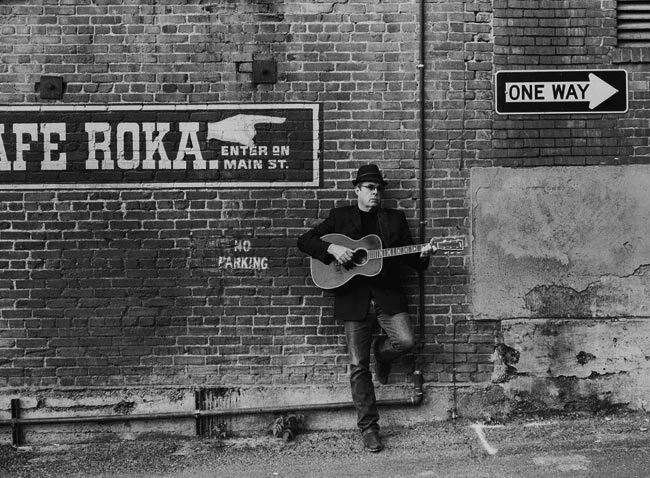 Known to American audiences primarily through his music, singer-songwriter Tom Russell is every bit as talented on the canvas as he is the page, just as devoted to exploring his chosen art form when there’s a brush in his hand as a guitar. And so it’s perhaps no surprise that the same sensibilities that enliven and inform his music—the passion and compassion, his sense of western history and rich feel for his own context—are also tangibly on display on his canvases. 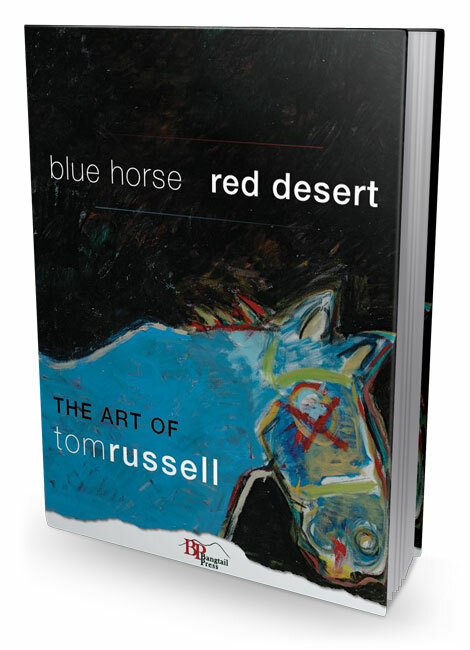 Through the course of presenting more than sixty of Russell’s finest paintings, Blue Horse, Red Desert spans some of the most productive years of his artistic career. We see the whimsical humor of such pieces as Free Range Chickens Crossing the Rio Grande, we share in his sense of historical umbrage with Custer’s Last Stand and Juarez / Guernica, and we appreciate the sharp, intellectual awareness of his predecessors in homages to Fritz Scholder and Edward S. Curtis. 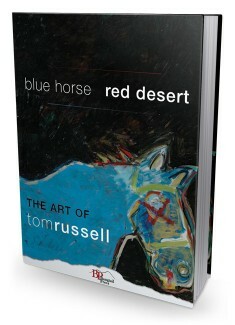 With a brilliant biographical introduction by Russell and complemented by an afterword by masterful author Paul Zarzyski, Blue Horse, Red Desert is destined to be seen as a milestone in the blooming career of a true American master. This went on for almost fifteen years, until I decided to leave New York for the West. Rowing back towards home. The old New York had gone safe. The Brooklyn neighborhood had become “gentrified.” The nights were quieter. The white money moved in. The Cubans and Puerto Ricans migrated eastward, deeper into the ghetto. I longed for the West. The frontier. El Paso and the great Chihuahua desert. Juarez. Solitude. Dry heat. Border towns. I was lured by the sun and light, and that wonderful expanse of sand and cactus and thorn, and by two songs: Marty Robbins’s gunfighter ballad “El Paso,” and Bob Dylan’s “Just like Tom Thumb’s Blues,” which begins with the line, “When you’re lost in the rain in Juarez, and it’s Easter time too.” Indeed. Tom’s painting is like his music: full of drama, passion and dignity, blood and dirt, history and romance. It’s where he lives, or where he imagines he lives, which is the same thing. We love the way people relate to Tom’s paintings. They approach them not as people who know his songs, but appreciate Tom Russell the painter. Tom told us he paints because it’s “fun.” And that’s exactly why we love to sell his paintings. It’s fun. We have three Tom Russells at home, and another became the cover of the album we made together in 2009. 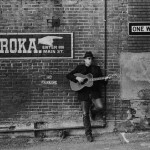 Tom’s paintings are much like his songs: deeply original, unsentimental, and unflinchingly honest. Tom is one of the great Renaissance men of our times­—songwriter, painter, novelist, essayist, filmmaker, you name it.